It’s the end of the road for one of India’s most iconic cars. Hindustan Motors is selling the Ambassador brand and certain related rights to French carmaker Peugeot, a BSE filing revealed. And the brand, once synonymous with the Indian automotive industry, is being sold for less than the valuations new app-based startups command these days – Ambassador could fetch a price tag of just Rs. 80 crore. The Ambassador had started production in 1958, and was modeled after the British Morris Oxford. 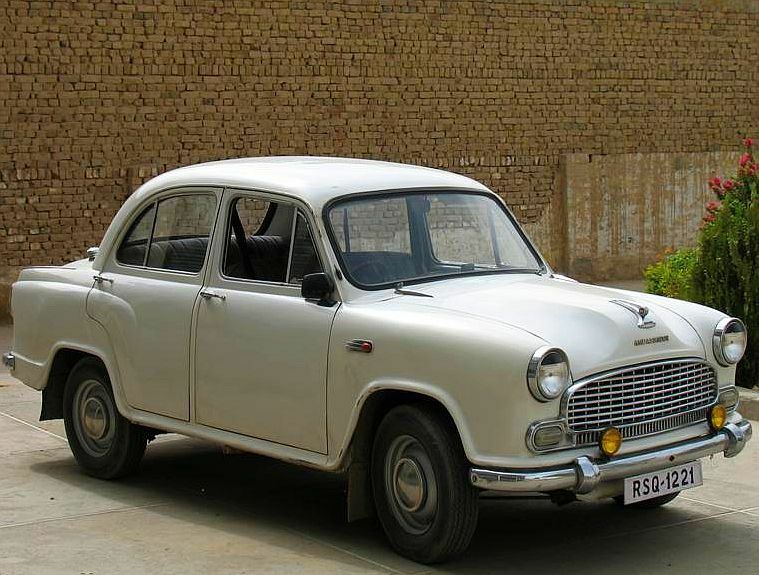 It was the first car to be made in India, and was considered to be a status symbol in its heyday. It was also the vehicle of choice for Indian politicians and government leaders – until the 1990s, a white Ambassador with a red beacon was the unmistakable sign of power and prestige. The Ambassador, however, had made few changes in its design and production, and had failed to keep up with the times. After the economic liberalization from the 90s, it saw increasing competition from foreign carmakers, and even Indian brands which were producing more popular cars. After demand dropped, production for the car was finally stopped in 2010. The Ambassador had earned several accolades during its run. “Ambassador is ‘the People’s Car, the Politician’s Car, India’s Rolls Royce,” said photographer Raghubir Singh. “As I journeyed all over India, I came to understand that if one thing can be singled out to stand for the past 50 years of India . . . it has to be the Ambassador,” he wrote in a New York Times article. It was also declared as the best taxi in the world by Top Gear in 2012. It is unclear what Peugeot will do with the Ambassador brand. This isn’t the company’s first foray into India – in 1994, it had entered India through a joint venture with Premier Automobiles Ltd. called PAL-Peugeot Ltd, and had launched the Peugeot 309. It had shut shop in 1997 after a labour unrest at its Kalyan plant. In 2011, Peugeot had laid the foundation of a factory in Sanand, Gujarat, but gave up the plan in 2014 because of financial troubles. If the Ambassador is brought back on roads by the French company, it could be a nice little ending for the car – it was initially imported from Britain, and nearly 70 years later, will go back to its European roots. But in the intervening period, it occupied a very special place in the hearts of the Indian people.